There are many signs of asbestos that positively identify the existence of asbestos in your home and commercial property. 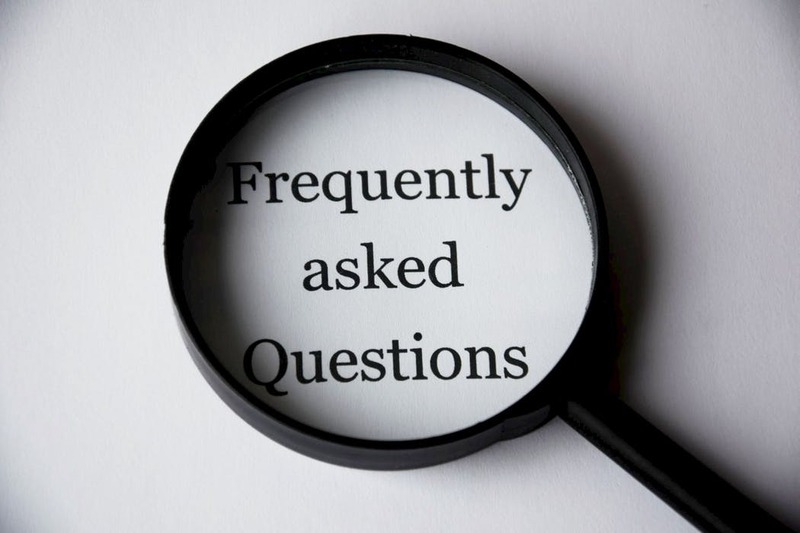 Here we share some useful tips, advice and explore some other frequently asked questions. If you have a question that doesn’t appear, please feel free to contact an Excel Asbestos professional via the contact form below. Asbestos is a naturally occurring mineral composed of millions of microscopic fibres that can be released by abrasion or other processes. The reason asbestos was used was it has great sound absorption qualities, it’s affordable, resistant to fire, heat and electricity. It was a perfect product for insulation in buildings. The Australian government department of health provides information about when and where asbestos was used in the following publication. As the fibres are so microscopic, most people don’t realise they are enhalling them as there are no ill effects felt immediately. However, inhalation of asbestos fibers can cause serious and fatal illnesses many years later such as lung cancer, mesothelioma and asbestosis. Approximately one third of all homes in Australia contain asbestos products. If your house was built before 1990, it is likely that it would have some asbestos containing materials. You are only legally allowed to remove asbestos if it is less than 10 square metres and it is non-friable. Anything over this amount or friable asbestos must be removed by a licenced asbestos removalist. What are some signs of asbestos? Some of the tell-tale signs a product may contain asbestos. In the case of roofing material, it is generally grey in appearance with white streaks clearly evident (this may look like bird droppings, in actual fact the white material evident is the asbestos fibres showing, exposed to the weather and air after the cement matrix has been weathered away by an event such as hail). Another way to see if the material you’re looking at contains asbestos: it may be possible to see a ‘hatched’ pattern through the paint on the face of a ‘bonded’ asbestos sheet; additionally bonded sheets also generally a wooden or a moulded asbestos cover strip covering the joints between the sheets. With Low Density Board (LDB) it is harder to detect – these may have a bevelled edge and are predominantly nailed to the framing around the edges just like a non-asbestos sheet; these will also appear soft if abraded with a hard object. LDB should be considered highly dangerous and not interfered with. If you suspect LDB consult an A Class licensed Asbestos Removalist and don’t attempt removal of the product yourself. Sometimes, if the back of an asbestos sheet is exposed, the original manufacturer’s warning label may also be visible – clearly stating the product contains asbestos. Until either the opinion of an expert is sought and/or NATA laboratory testing of a sample of the material is completed – there is no way to be 100% sure if a material contains asbestos or not. Always assume it does contain asbestos, until proven otherwise. Can asbestos stay in my home while I am living there? Yes, as long as the product containing the asbestos materials are not damaged in any way, then it is perfectly safe. When does asbestos become dangerous to me and my family? If there is any damage to your home then the asbestos fibers may be released and become airborne. If you are doing any renovations, even as small as drilling a hole to install a light or an air conditioner, this can be enough to disturb the asbestos and become dangerous. When do I know it is safe to re-occupy my house? All licenced asbestos removal companies should provide you with a clearance certificate. This means the area where the asbestos has been removed has been independently checked by a professional to ensure that the area is free from asbestos and it is safe to re-enter. If I find a small amount of asbestos, can I put it in my kerbside bin? No, it is illegal to dump asbestos unless the refuse station has a designated area for asbestos dumping. There are only a handful of refuse stations that take asbestos in the Brisbane and surrounding areas. Please contact your local council for more information. Why do people charge different rates to remove asbestos? In the case of Low Density Board (LDB) – an A Class licensed removalist will quote to remove this highly hazardous asbestos product under A Class conditions (eg the removal area will be placed under negative air pressure – using a HEPA cored Negative Pressure Unit) and all asbestos removalists will hold an individula A Class competency. An A Class operator will use a range of different equipment, when compared to the very basic equipment used by B Class operator. all removalists will be required to wear full-face respirators (similar to those used by Firefighters), be required to ‘shower out’ when leaving the removal area; all waste materials will be double wrapped and also showered out – ensuring that no asbestos fibres leave the removal area. A Class asbestos removal is generally overseen by an independent Asbestos Assessor, who in addition to conducting Air Monitoring and Fibre Counting also confirms the final end result and issues the required Clearance Certificate(s). Some operators will encourage customers to ‘pay cash’ – this may seem tempting, but the downside of this is that it provides a customer will little consumer protection and the ability to have problems rectified should they occur. Some operators fail to mention, or insist upon, that for a total removal of greater than 10 square metres the work needs to have issued a Clearance Certificate – stating that the area is safe to reoccupy without respiratory protection. The cost saving of a few hundred dollars might seem significant at the time, but without a valid Clearance Certificate; issued by either a Competent Person or Asbestos Assessor it contrives the Govt Code of Practice for the Safe Removal of Asbestos and a work site cannot be reoccupied by anyone not wearing respiratory protection. The obtaining of a Clearance Certificate is the responsibility of the person engaging the asbestos removal works (eg home owner, or builder). Some operators do not spend the necessary money annually to maintain their equipment – an example of this is a HEPA ‘H’ (H for Hazardous) dust vacuum cleaner; these vital pieces of equipment should be stripped down by an authorised service agent once per year and recertified as fit for use. The Govt Regulator (WHSQ) is Queensland will demand all service records for all equipment used by an asbestos removal contractor in the event of a breach of the Code of Practice resulting in an asbestos contamination of a property (by then it’s generally too late). Reputable operators have their equipment services regularly to ensure peak performance and efficiency in a harzardous environment. You have the right to insist on copies of the service records if you feel in unsure for any reason regarding the integrity of the equipment to be used at your property. Improper hazardous waste disposal. It cost asbestos removal operators considerable cost to legally transport and dispose of hazardous asbestos waste. Some unscrupulous operators cut corners and illegally dispose of asbestos contaminates unlawfully; facing prosecution only if caught. Can my pets stay at home when asbestos is being removed? As long as pets are kept out of the way and at least 10 metres from the removal zone, then no harm should come to them. Our recommendations are that if it is a large removal, the pets are not left on the property. What is the difference between an A and B Class Asbestos Licence? An A Class Asbestos Removal Licence can only be issued, by the Govt Regulator (in Queensland this is Workplace Health & Safety Queensland), upon verified satisfaction by WHSQ that the applicant has a MINIMUM of 3 years friable asbestos removal experience. Part of the licensing process requires an applicant to possess a Safety Management System, this must be independently certified in compliance with Australian Standard AS4801-2001 by an independent Joint Accreditation System of Australia and New Zealand (JANZ) member. This process ensures that an A Class Licensed Asbestos Removal business (not merely an individual who has successfully completed their individual; Friable asbestos removal accrediation) meets strict Govt guidelines to ensure friable asbestos removal is completed safely. An A Class license holder is more than qualified to also undertake B (Bonded) Class asbestos removal also. To obtain a B Class Asbestos Removal license – an individual must complete a single day course (Removal of Non-friable asbestos), apply for a B Class License (license cost approximately $200) and hold an Australian Business Number (ABN). The costs to satisfy the requirements of an A Class license are between $20000 to $30000 – excluding extra equipment required to undertake A Class work. It’s highly recommended to engage only an asbestos removal businesses holding an A Class licence. What's the difference between bonded and Friable asbestos? Friable asbestos is generally caused when a power tool is applied to any asbestos containing material – resulting in disbursement of the fibres into the air at high speed; once airborne these fibres are easily inhaled or settle on surfaces and can easily be disturbed again. Friable asbestos can also be defined as asbestos products branded with any part description ‘lux’ (Latin for light) – typically defining these sheets were manufactured without cement forming their matrix. Typically plaster was used in place of cement making the sheets lightweight to handle and install – but readily Friable when disturbed. These lightweight sheets are generally referred to as Low Density Board or the acronym LDB. LDB should ideally be removed under A Class condition, as it becomes easily Friable. Bonded asbestos is defined as the asbestos fibres being well encased in a cement matrix and not readily made friable when disturbed. A good example of this is the traditional ‘fibro’ sheet used as external cladding on a building. When painted and in good condition it poses little threat. To learn more about where asbestos can be found, visit our asbestos testing page. Looking for an Answer to a Asbestos related Question?